Non-hydropower renewable capacity in Asia is set to grow more than 140% in the next decade, according to new analysis, but coal will remain the backbone of power systems across the continent. In a research note, Fitch Solutions and Macro Research stated that wind power capacity is expected to increase by 280GW between the end of 2018 and 2028, compared with 480GW of net solar PV additions. However, the two technologies’ lower capacity factors and expected growth in power consumption across Asia mean that renewables will play only a "relatively marginal role" in power mix diversification across the region, the analysts added. Fitch forecasts renewables’ share in the Asian power generation mix to grow from 8% last year to nearly 14% by the end of this period. 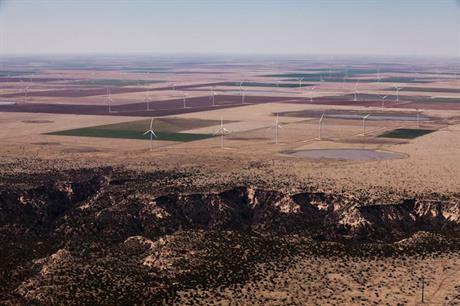 Falling costs of technology and increasing efforts to curb growth of fossil-fuel generation and deteriorating air quality will drive renewables expansion in the next ten years, the analysts stated. 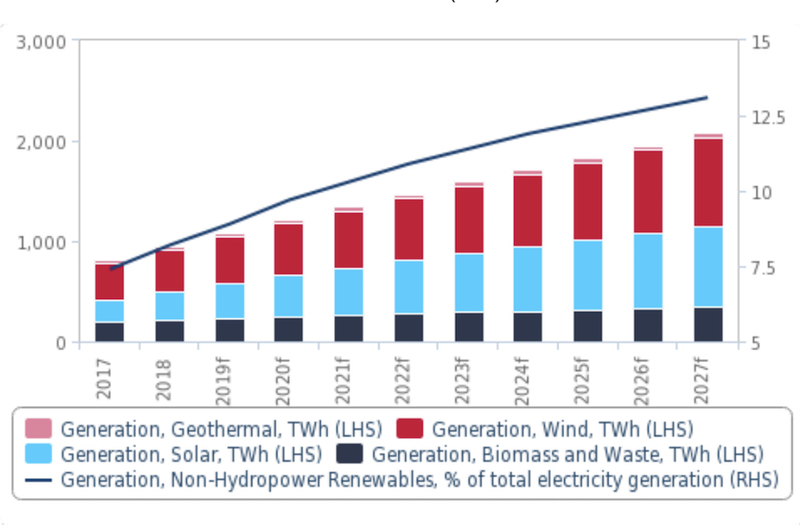 Renewable power generation is set to more than double from nearly 1,000TWh in 2018 to more than 2,200TWh per year by 2028 – making the sector the fastest growing power sector in Asia in the next decade. However, the "intermittent nature" of wind and solar means that although the two technologies will account for 47% of total capacity additions in this period, they will only make up 27% of total generation growth. This will also inform energy hungry markets’ decisions to deploy base-load coal-fired power, Fitch stated. Coal power will therefore remain the backbone of power systems across the continent, notably in China and India, but also in Indonesia, Vietnam, the Philippines, Bangladesh, Malaysia, and Pakistan, and to a lesser extent Japan and South Korea. On average, China is due to add 23GW of new wind power and 36GW of solar PV each year through to 2028, the analysts predict. The country will account for nearly three quarters of new clean energy additions in this period, despite Beijing’s push to phase-out subsidies for renewables in the coming years, Fitch noted. Its 600GW of net renewables capacity in this period will take renewable generation from about 9% last year to 16% by 2028. As with other power markets across Asia, coal is due to remain China’s primary energy source, but it is also due to focus on growing natural gas and nuclear generation, the analysts stated.